BROOKLYN, N.Y. — A federal judge in New York cast doubt on Monday on the assertions of the state’s attorney general, who had sued a number of pro-lifers for allegedly “harassing” abortion-minded mothers outside of Choices Women’s Medical Center in Jamaica. 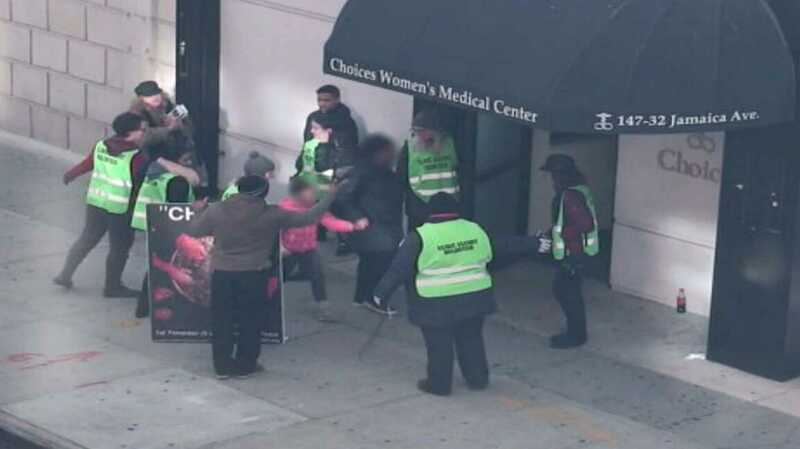 As previously reported, last June, Attorney General Eric Schneiderman sued a number of pro-lifers that had been reaching women every Saturday for the past five years outside of Choices Women’s Medical Center. The men and women are members of various churches and Christian ministries, such as Church @ the Rock, Helpers of God’s Precious Infants, Bright Dawn Ministries and Grace Baptist Church. “Defendant Randall Doe, while raising an enlarged image of a purportedly aborted fetus, harasses patients and closely follows them within nine feet of the clinic door, telling them that they will regret killing their child for the rest of their lives,” the lawsuit stated. “The prosecution’s very loose handling of a serious charge serves to highlight the baseless claims in a case solely intended to discourage any opposition to abortion,” said Special Counsel Martin Cannon. Cannon is seeking to have the lawsuit dismissed, and the hearing was a result of the motion to dismiss. According to Courthouse News, during the hearing, Judge Ammon presented a number of scenarios to try to ascertain what Schneiderman’s office considers “harassment.” She asked if someone followed a woman and said repeatedly but politely, “You should consider keeping your baby,” if that would be considered harassment.